Bali, Indonesia (CNN Business) Threats to the global economy that once felt remote are now becoming all too real. 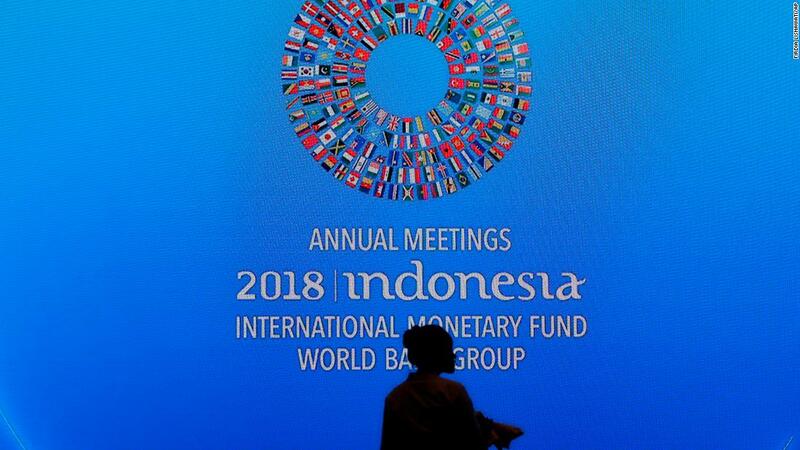 Those are some of the biggest challenges facing global finance chiefs and central bankers as they arrive this week on the Indonesian island of Bali for an annual summit hosted by the International Monetary Fund and the World Bank. On the face of it, the global economy looks strong: growth is at its highest level since 2011. But the threats are growing. The trade war between the United States and China, the world’s top two economies, shows no sign of abating. Andalthough the United States continues to grow strongly this year, other major economies including China, Japan and the European Union have slowed down. On top of that,emerging markets are in turmoil after Argentina and Turkey spiraled into crisis. “We are not seeing broader financial contagion — so far — but we also know that conditions can change rapidly,” IMF Managing Director Christine Lagarde said in a speech in Washington last week. “If the current trade disputes were to escalate further, they could deliver a shock to a broader range of emerging and developing economies,” she added. In July, the IMF predicted the global economy would grow 3.9% both this year and next. The fund’s new estimate is likely to be “less bright,” according to Lagarde, when economists update their forecasts on Tuesday. The Trump administration has settled one of its highest-profile trade fights, announcing a deal with Mexico and Canada to succeed NAFTA. But the conflict with China looks set to rumble on. Ahead of this week’s summit, Lagarde warned trade rifts pose a growing risk to the global economy. “We need to work together to de-escalate and resolve the current trade disputes,” she said, without mentioning any countries by name. 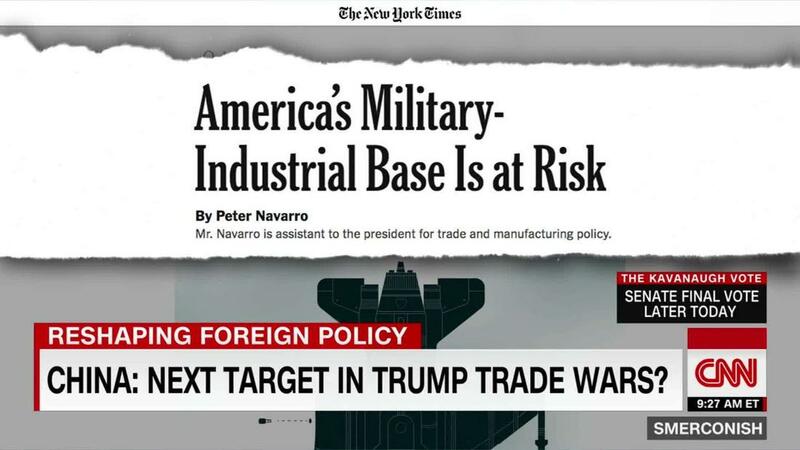 China: next target in Trump trade wars? The World Trade Organization has already downgraded its forecasts for global trade growth this year and next as a result of “heightened tensions” between major economies, WTO head Roberto Azevedo said last month. “The protectionist measures are starting to have a bite,” said Bernes, a former executive director at the IMF for Canada and other countries. A big question is whether US Treasury Secretary Steven Mnuchin will be able to use the recent breakthrough with Canada and Mexico to help persuade US allies to put more pressure on China to change its trade practices. Scott Morris, a senior fellow at the Center for Global Development, said Mnuchin’s job at the summit will be to provide “closed door assurances” to allies over US trade policy. He’s also likely to take some heat publicly. The Federal Reserve is raising interest rates to try to stop the US economy from overheating, but it’s causing difficulties elsewhere by making it more costly to pay off debts held in dollars. “Emerging and developing economies are already feeling the pinch,” Lagarde said. Global corporate debt — in both the private and public sectors — now stands at an all-time high of $182 trillion, according to the IMF, a jump of 60% since the 2008 financial crisis. 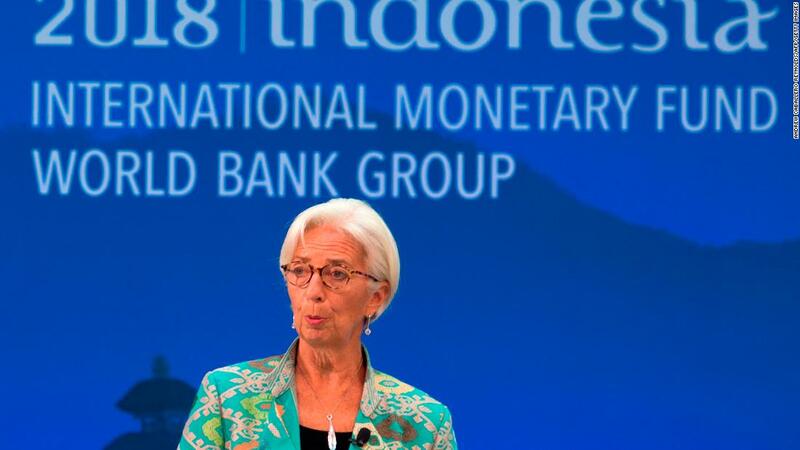 “This should serve as a wake-up call,” Lagarde said. It’s a particular problem for struggling countries like Argentina and Turkey, whose currencies have plunged against the dollar as concerns about their financial health have mounted. Analysts worry that if interest rates rise faster than expected, it could lead to renewed market turmoil and prompt investors to pull more money out of economies that are already feeling the strain. Global finance chiefs at the summit this week are likely to discuss ways to prevent problems in countries like Argentina and Turkey from getting even worse and spreading beyond their borders. But analysts have doubts about how much they can do. “They’ll put a brave face on it,” Bernes said.